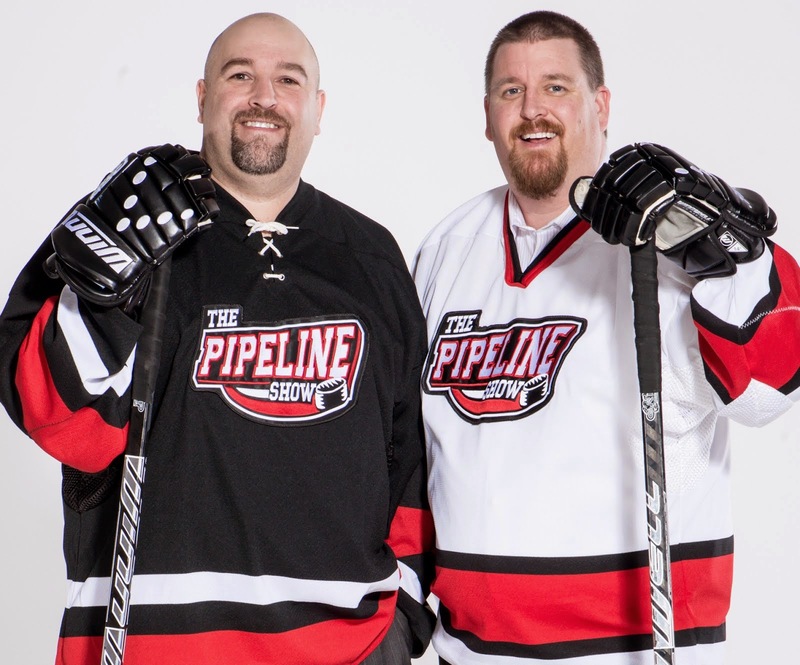 The Pipeline Show is excited to bring you a series of guest player blogs by some of the top players eligible for the 2009 NHL Entry Draft. For a complete recap of the blogs so far, click on '2009 Guest Blogs' under 'Labels' down the right-hand side of your screen. To date we have heard from John Moore from the Chicago Steel in the USHL, Ethan Werek of the Kingston Frontenacs, Dylan Olsen of the Camrose Kodiaks and netminder Mike Lee of the Fargo Force. Hello everyone, Hope everyone had a fun and safe May long weekend. Since returning from Fargo from the under 18’s I’ve had a lot of things to deal with. I found out that my bruised ankle wasn’t a bruise and was actually a blood clot in my ankle. Since then I’ve been going everyday to get it worked on and last week I went to Toronto to get an MRI on it. I was pretty nervous for the MRI because I’ve heard many stories of people not being able to do it because it is very claustrophobic. Lucky for me, because it was my ankle I didn’t have to go all the way in. As well, since it was at 5 in the morning and I had to wake up at 3:30 to get there, I thought I’d be able to sleep. I also learned that there in no traffic in Toronto at 4 in the morning, a pleasant surprise, but at 7 on my way home, it was back to the usual city traffic. Since being home I attended some of Brampton's home games against Belleville and that was a great series. It was nice to see Brampton have a pretty full crowd and it had a pretty good atmosphere in there. Next week I have the combine coming up so I have been going 5 days a week to work-out. It is one of my goals to be one of the top performers at the combine so I am working hard everyday to improve my strength. I have also started my summer course through Queens. I am studying Sociology and the readings thus far have been very interesting. They have been breaking down the movie Psycho, the 1960’s Alfred Hitchcock thriller. When I have some free time I’m usual watching the NHL play-offs and some play-offs they’ve been! My play-off predictions haven’t been the best this year (that’s why I’m last in my play-off pool with my buddies) but the up-sets and the comebacks have been amazing. I think that Chicago will come out of the west and that Carolina will squeeze by the Pens. I was watching Sports Center this morning and saw that Scott Walker’s wife was diagnosed with cancer. I train with Scott and he is a great guy and I’d like to wish him and his family the best and hope that his wife will have a successful recovery. I’ll report next time about the combine and my experience there-- until then, thanks for reading! 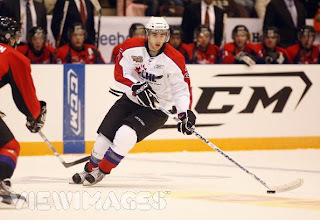 Ethan Werek is ranked 26th overall by International Scouting Services (May '09) and 43rd in North America by NHL Central Scouting (mid-term rankings). The 6.05' and 191 lbs forward ended the OHL year with 32 goals and 64 points in 66 games with Kingston. Werek also recorded 4 goals and 6 points in 6 games for Canada at the World U18s in Fargo, good for third in team scoring.